I love that Rihanna is a rocker chic and can always reinvent her style. From her clothing to her hair.She always looks fab. Rihanna recently ditched her long red mane for a short hair cut. 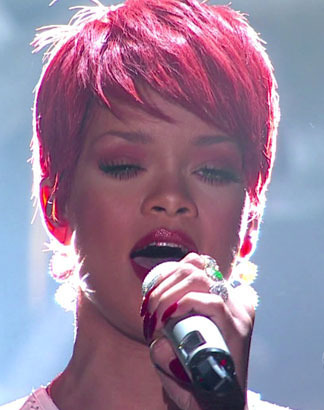 I love the red short cut on her but I'm wondering what color will RiRi change her hair to next. Could it be blue or purple? Will it be long or short, curly or straight.? Only time will tell until then check out Rihanna's new look.